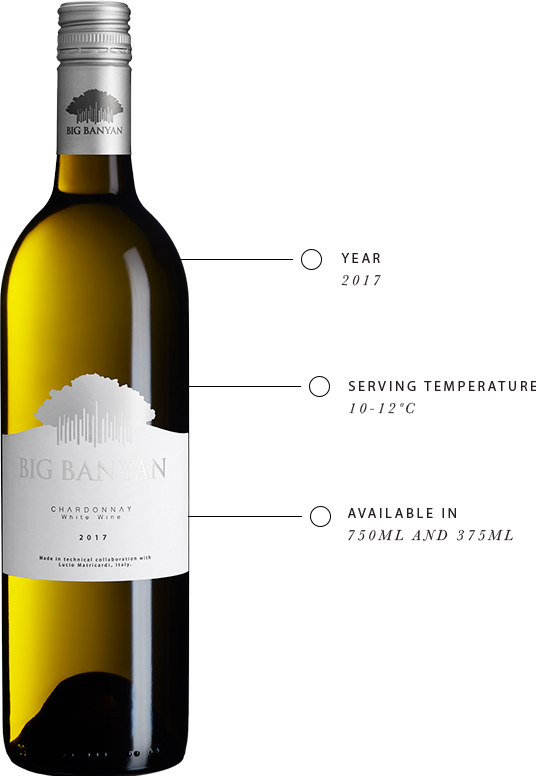 A sophisticated and elegant wine, the Big Banyan Chardonnay is the life of any celebration. Enjoy the intense tropical aromas of pears and pineapples, while a hint of crème brûlée and hazelnut tantalise you. This wine is a delicate straw gold with hints of green to tease you. Our Chardonnay is all about fine balance. Of crisp fruitiness and crunchy butterscotch sweetness. Of minerality and acidity. Of good cheer and elegance.